We’ve upgraded the basic generator soundproofing info from the book: “Quieting: a practical guide to noise control“. The new system is shown below. It is based on the fact that air will go around corners well, whereas sound doesn’t like to. This baffling method works well for pool pumps and many other kinds of noise sources. Enclosure is best made of panels of “Soundboard” or “Homasote” (from the hardwood store), with corner support strips of wood (not shown). screwed, (not just nailed) and glued for strength. Plywood is not recommended because wood transmits sound so readily. “MDF” Medium Density Fiberboard is best. A lined, triple wall box as shown is the most effective, but sometimes a double box may work well enough, depending on the level of sound control needed. For maximum effect, use the 2″ thick “Super Soundproofing Mat” for lining your box. Make sure the box is entirely covered: no gaps. Cement edges for a tight fit. If in a damp environment, use our contact cement as it has a mildew resistant retardant in it. See the Products Tab (Above), for ordering and price info. Cut strips of mat for the airtight seal for the bottom edge. Leave about an inch between the inner and outer boxes for air circulation. Here’s how it’s done from the top. Lead or mass loaded vinyl can be attached over the box for even more sound control. Edges must be sealed! Use lead tape and the non-hardening acoustical caulk available on our shopping cart. Vibration pads should be used for isolation of the noise source to the floor. Probably not needed if floor is concrete. Wrapping the pump or motor is an additional way of reducing the sound emitted by it. Leave the ends open if needed for ventilation. Use lead or mass loaded vinyl. Tie it in place with wire or nylon “Tie wraps”. If a water pump, isolate the in/out pipes by cutting out a section at the pump and replacing with rubber hose. Automotive radiator hose works well. 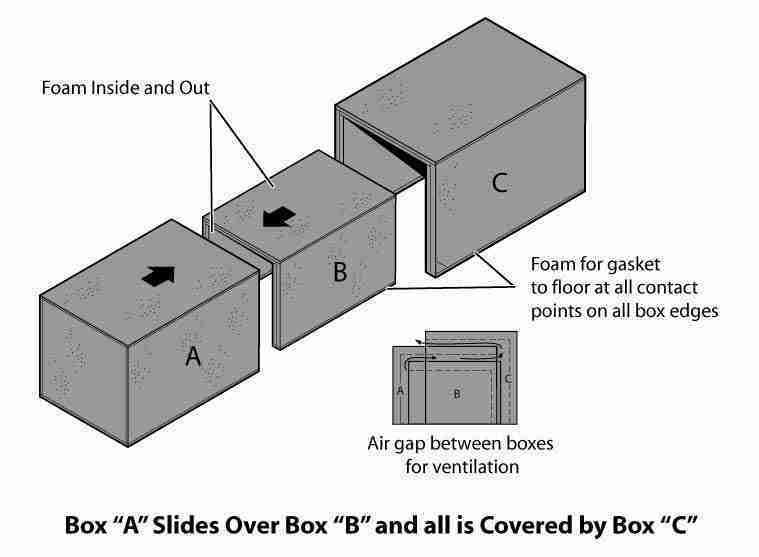 Don’t allow the inlet/outlet pipes to contact the box and be sure to insulate the openings. Keep the box as small as practical to reduce “drum” effect and if possible, locate the box to the other side of walls, other natural barriers, etc. If located next to a wall, sound reflection from it to or through the wall can be reduced by covering the wall with thin absorbent foam mat. Concerned about temperature inside your box? Don’t know if you need fans? Use a meat thermometer inserted through a hole drilled in the box to monitor temperature. Check with the manufacturer to find the temperature tolerance of your noise source. (Small computer power supply box fans move a lot of air are cheap and can run on 12VDC or 110AC). 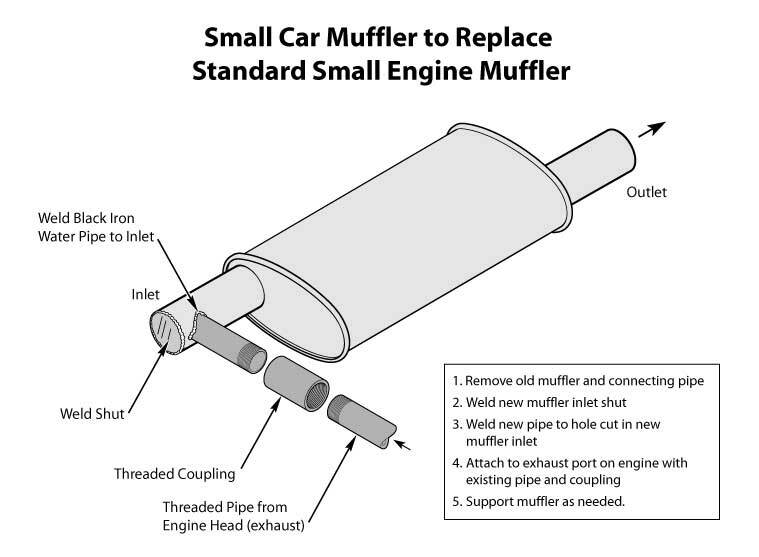 Muffler noise: Best to use a small car muffler as a replacement for your generator muffler. (4 cycle only). Of course, all muffler exhaust must be directed outside the box! Cover the muffler with fiberglass if you want more sound reduction. How to figure how much mat is needed: determine the total square footage of the box you are lining, (width times length), then divide by four for acoustical mat and/or Mass Loaded Vinyl. (These are the widths of the rolls we cut the material from). This will give you the lineal or “running” feet we sell the material by. You can call us if you need help! 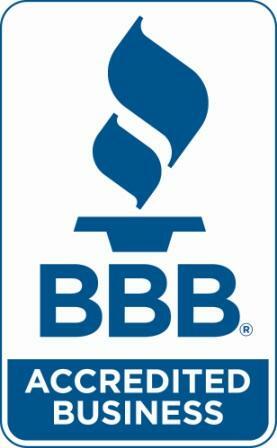 (760) 752-3030 9-5 Pacific time 5 days. Or use the box below!